Pam Kincaid spoke out for justice. Kincaid is seen here speaking on the Homelessness Marathon in 2007, a few months before her death. 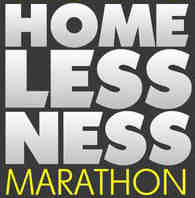 This year’s Homelessness Marathon, which gives the homeless a voice, will be heard on over 100 stations on February 23. Imagine that the mayor in your city is beaten almost to death on a downtown street. She is rushed to a hospital emergency room where the police interview her about the incident. Under ordinary circumstances, the police would be under intense pressure to bring the perpetrator of the crime to justice and the hospital would be expected to do everything necessary to provide the mayor with the best medical care available. But, what if the police refused to investigate the crime and the care the mayor received at the hospital resulted in her suspicious and wrongful death? Would the corporate media report the story? Would the community be outraged? Would the mayor’s family file a lawsuit against the hospital to compensate them for their loss? Pamela Kincaid was not the mayor of Fresno. She was a homeless woman and the lead named plaintiff in a lawsuit against the City of Fresno that successfully argued that the city was taking and destroying homeless people’s property. The lawsuit was settled after Kincaid’s death for $2.3 million, the largest settlement of its kind in the United States. The settlement money went to over 300 class action members - all homeless people in Fresno. In mid-July 2007 Kincaid was savagely beaten, the only known witness claimed that the Fresno Police Department (FPD) was involved. When she arrived at the emergency room of Community Medical Center the FPD was called and officers wrote a report but did not follow up on the beating, even after being told of an eyewitness. They ignored repeated requests to open an investigation. On August 1, 2007, Kincaid was recovering at Community Hospital. Her memory of the incident was improving, her health was getting better, and she was looking forward to being released. She was talking to her attorneys, numerous friends, and medical personnel, none of whom indicated that she was suicidal. Inexplicably, in the middle of the night, Kincaid passed a nurses station, went through what the hospital insists were locked doors attached to a loud alarm system and ended up on the 4th floor balcony. The final report from the hospital says Kincaid somehow got onto the balcony without anyone noticing and went over or under the 8 foot wall to her death. Because of Kincaid’s social and economic status there was nobody to hold the hospital accountable. Kincaid’s daughter Kayla had been taken away years earlier and adopted to another family. Her husband is in California State Prison at Avenal and because of his incarceration could not claim that he suffered an economic loss due to his wife’s death. There was nobody who could legally claim a loss based on Kincaid’s death, therefore Community Hospital was not held accountable for their failure to protect the health of their patient. Justice for the homeless, particularly for the homeless who dare to stand up for their rights, is not blind. It may be through understanding the life experiences of the poor and homeless, in their struggle with the judicial and legal system, that the class nature of this society is most clearly exposed.